We love pairing our leather coasters with our good friend PKK Ceramics...Collaboration happening soon! We are proud to announce that starting this winter, our Heima er Best Keyring will be available to purchase on board every Icelandair plane in the sky. 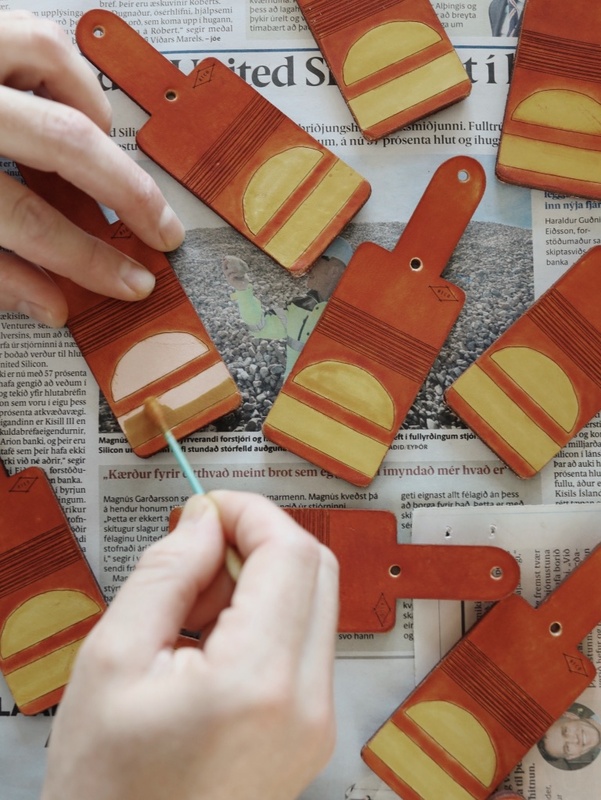 Introducing our Veggie Tanned Leather Keychains & Luggage Tags. Each cut is hand stained & engraved to our liking. For travelers, adventurists, or just folks who like nice leather goods- these are for you. Message us for private orders- quantities limited at the moment.